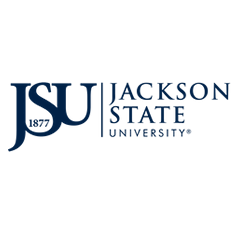 To comply with the requirements of the Family Education Rights and Privacy Act of 1974, Jackson State University periodically announces publicly the policies and procedures implementing the act. Additional information is available within the Student Affairs and the Dean of Students Offices. Different types of student records are maintained in various University offices, and the chief administrator in each of these offices is responsible for them. Generally, with certain exceptions, the law provides that students and former students have the right to review their records, request explanations concerning them, obtain copies and challenge records that they feel are inaccurate, misleading or otherwise inappropriate. The challenge procedure includes a full and fair opportunity for the student to present documentation to be included in his or her student file. The law also provides that students may waive their right of access to confidential letters of recommendation and may also grant permission to release certain personally identifiable information to specific personnel. Where FERPA may permit disclosure, Mississippi law may consider certain records to be confidential. Examples include some personnel records; records maintained for law enforcement purposes; records maintained by a physician, psychiatrist or psychologist; and financial records of a student’s parents. The law also provides that, in addition to University employees having a legitimate educational interest, certain other governmental and quasi-governmental agencies and parents certifying that a student is carried as a dependent for income tax purposes, may have access to student records.